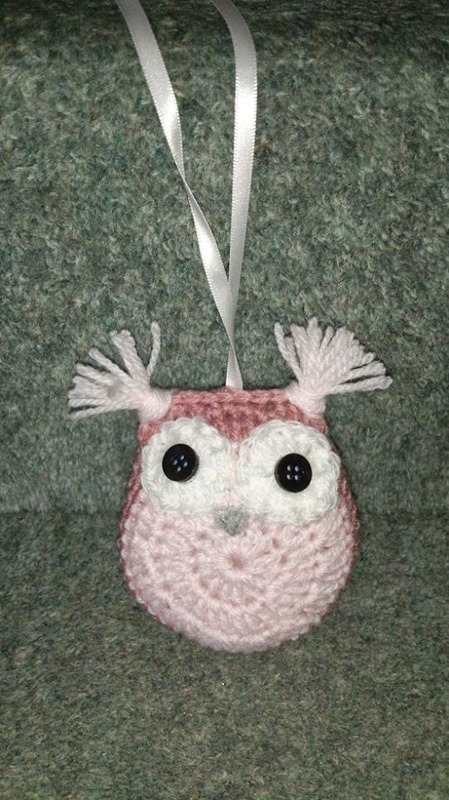 Knitting and Crochet.... What are your hobbies? I have always had a bit of a love for knitting ever since my Nan taught me when I was a young girl (probably around 7). The first thing we ever made was a nativity set. 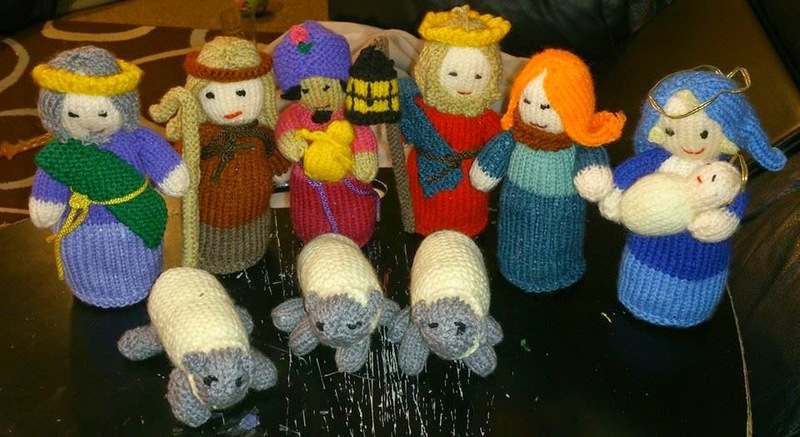 Well actually she made the whole nativity scene and my contribution was a (very wonky) sheep lol but I still loved that we had made it together and I still have it wrapped up safely in a shoe box in a cupboard, It gets brought out at Christmas and put out of reach so little fingers can't touch but we can all look and admire it! I loved the fact that you can start with a simple ball of yarn and a set of knitting needles and the possibilities of what you could make are endless. As I entered my teens I forgot all about knitting and didn't even own a st of knitting needles! But when I found out I was pregnant with my first little boy James at just 18 I had this urge to start again. My Nan had sadly passed away years before and so I had to almost teach myself again all by myself. It was a little like riding a bike though and after a few you tube video tutorials I was away. 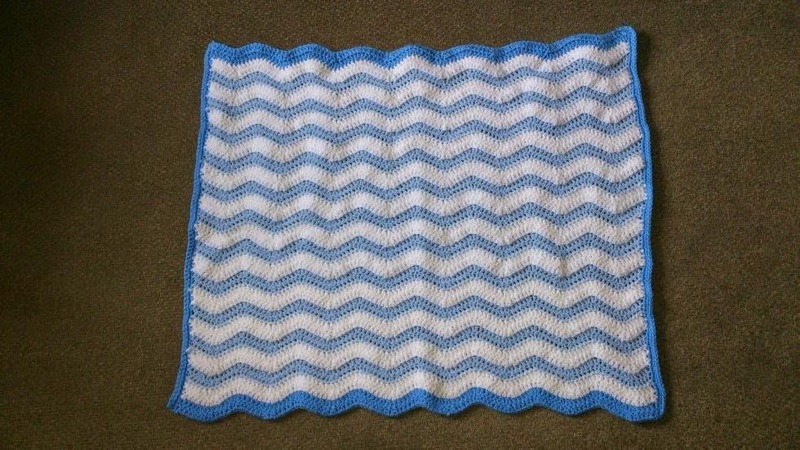 The first thing I made was a simple white striped car seat blanket for James and I was super proud that everything my Nan had spent hours teaching me was all flooding back. I also made a few blankets, hats and mittens for friends who were expecting or who had recently had babies and it felt great. The only thing I do find with knitting was that it is very time consuming and as I am not exactly the fastest it would take me at least a few weeks to get a decent sized blanket. I had come across a few patterns on the internet and decided I would like to give it a go. I ordered myself a set of cheap crochet hooks from amazon, I didn't want to spend loads of money in case I didn't get on with it. 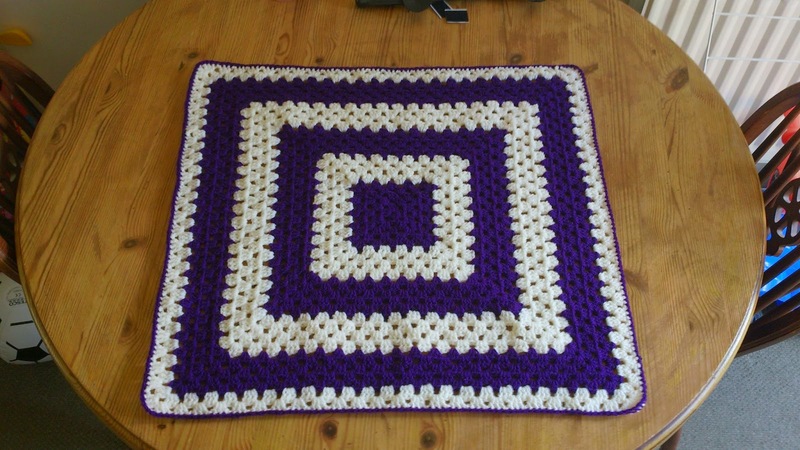 The first thing I made was a blanket again and I was shocked at just how quickly I could make it. It was really rewarding to see it growing so quickly and spurred me on to keep going to see the end result. After my success with the blankets I attempted some owls using a pattern I had found online and even I thought they were pretty cute. I was soon crocheting little booties, more complex blankets and all sorts of shapes and objects. I have found crocheting (and knitting occasionally) really therapeutic. I am by no means excellent at it but gives me something constructive to do in the evenings once the kids are in bed rather than twiddling my thumbs. It has also kept my hands busy and therefore stopped me snacking in the evenings when I was most likely to do so (probably out of boredom!) Its a win win for me. Do you have any hobbies you enjoy? Please do share with us below! I'm a crochet girl! Had to teach myself though, one of my nans tried to teach me to knit when I was younger but it really didn't work!! 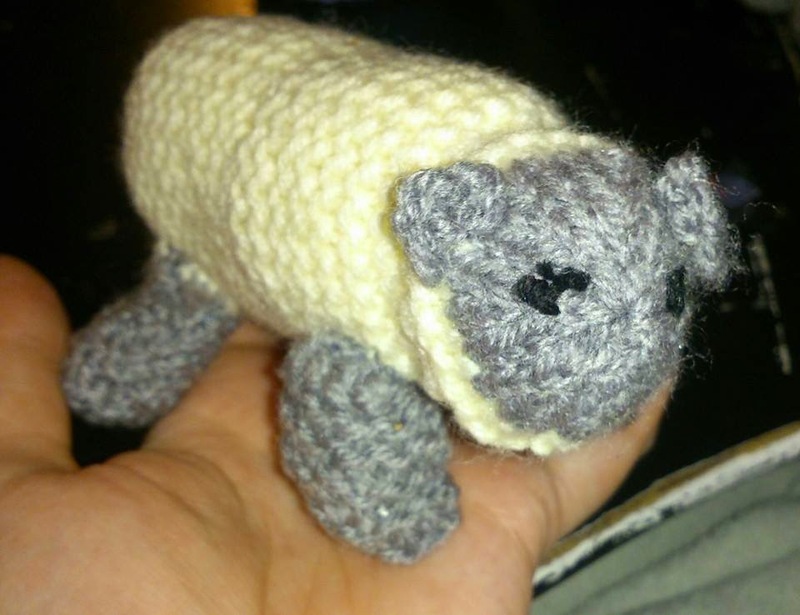 I think the sheep are really cute! I started a mood blanket at the beginning of a year but I think little things like this could be a side project. 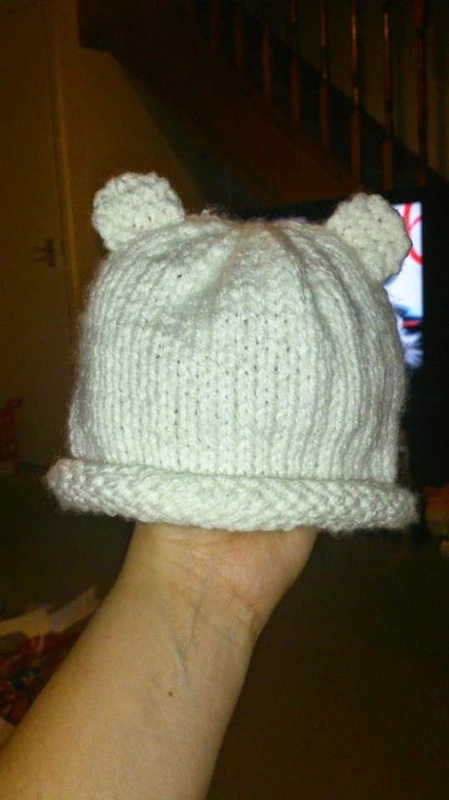 Another knitter here! Like you I learnt as a child, stopped during my teens and picked it up again when pregnant with my first child. Since then I have made so much. 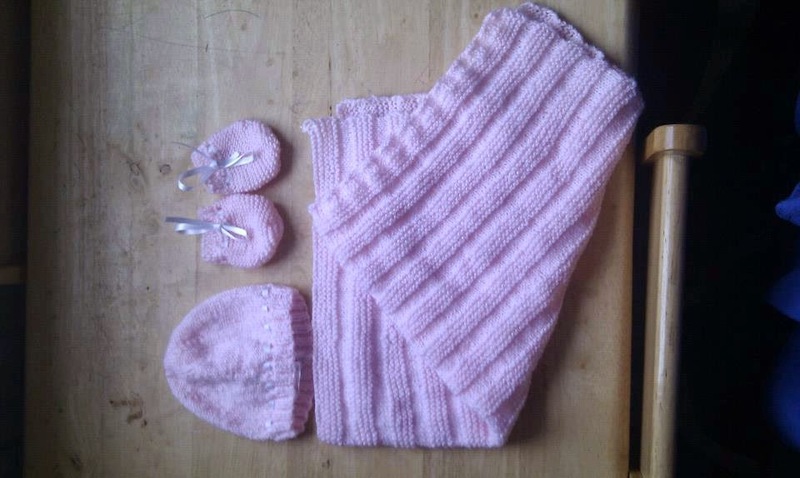 I particularly like knitting children's clothes because they are small so knit up quickly. I have never learnt much crochet mainly because I prefer the knitted look.